She was reportedly referring to Shah's speech at Raiganj in West Bengal on Thursday. 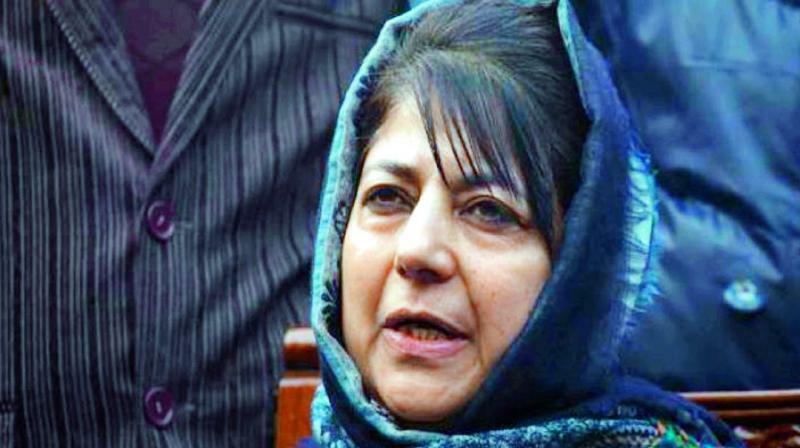 Srinagar: PDP president Mehbooba Mufti on Friday accused BJP chief Amit Shah of shaking the country's foundations with his recent controversial statements, and asked him to apologise to the people. She was reportedly referring to Shah's speech at Raiganj in West Bengal on Thursday. Calling illegal migrants from Bangladesh "termites", the BJP president had said that his party would throw them out after coming to power at the Centre for a second consecutive term. "It is our commitment to bring in NRC across the country to chuck out each and every infiltrator. For us national security is supreme. We would ensure that each and every Hindu and Buddhist refugee gets citizenship of this country," Shah said. Talking to reporters at Kangan in central Kashmir's Ganderbal district, Mehbooba said, "It is not only for Hindus, Sikhs or Muslims, the country is for everyone. I think by such statements, they are trying to shake the foundations of the country. They have become a danger for the country. Such statements are an attack on the country's secularism," she said. The former chief minister of Jammu and Kashmir said Shah should apologise as the foundation of the country has been laid on secularism. "The language used by Amit Shah and his colleagues for garnering votes is wrong. J-K had decided to join India keeping in mind its secular culture. I think Amit Shah should apologise to people of this country because the foundation of this country has been laid on secularism," she said. The PDP leader also termed as "wrong" the reported stopping of nomad population from transporting their cattle till elections were over. “I have spoken to J-K Governor (S P Malik) and I hope he will take action and they will be allowed," she said.